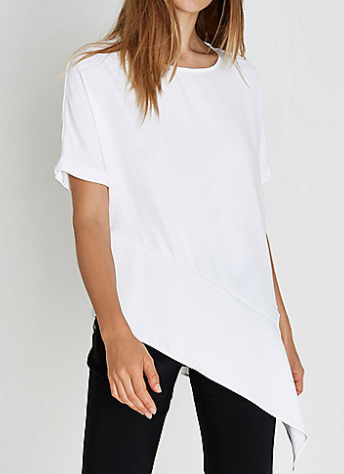 Because who needs another white tshirt? Oh wait, I do! I am sick of the basic tshirt, I need something special to say the least! Either the fabric has to be amazing or the style needs to be unique! Well be still your heart, becuase I found one that you can wear everyday and feel amazing! 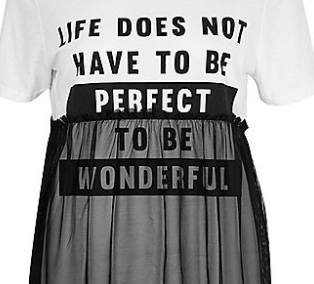 And who doesn't need a reminder these days that life can be wonderful! Have you heard of RiverIsland ? I haven't crossed it in a while but wondered on it recently and I am kind of obsessed!! Who doesn't need a little bit of happy and a good price? 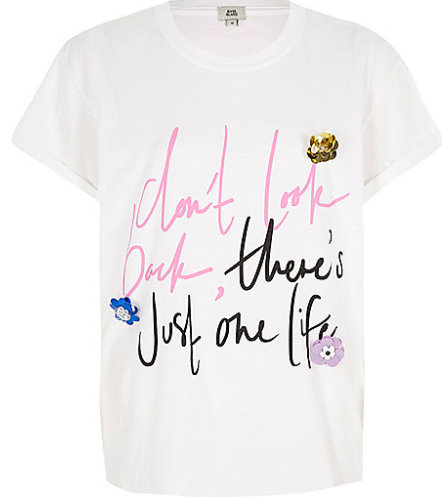 Sooo I found this chic top about life that is so fun and playful!! While wondering I found a bonus chic tshirt in white and black too!! I mean score!! And you can grab this fun one while you are shopping too!